When you are an Advanced Open water diver and want to become a PADI Instructor, then we have a 3 months program to give you the experienced needed (depending on the amount of dives you have logged at the start of the program) to help you to become a competent Padi Instructor. We focus on giving you the experience and confidence needed to be a Instructor, that needs time and experience, so our programs are longer and cost a bit more but it will be worth it once you start teaching. 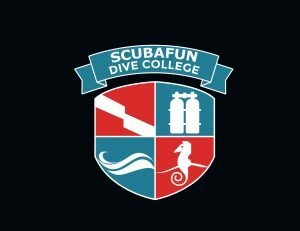 In our program you will have some time to get experience once you are a Dive Master and not jump right into a Instructor course, that will help you a lot to gain the necessary confidence. We include all extra costs outside your living costs to avoid nasty surprises during your training. This program may take a bit longer and can be more expensive than similar programs but our goal is to make sure you are highly qualified. Also in this program you will learn marine biology and reef conservation techniques to maximize your awareness and skills as a professional. Do not just get certified, but get qualified. Local Medical Insurance for emergencies. All Inclusive price for this program $6499 for the 12 weeks.